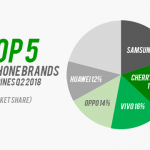 Samsung, Apple, Huawei, Xiaomi and OPPO are the top 5 smartphone brands worldwide in the first quarter of 2018! This is according to market research and consulting firm Strategy Analytics. The ranking is based on the millions of units of smartphones shipped by each company. Overall, 345.4 million units of smartphones were shipped by all brands. 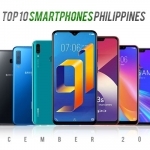 Samsung contributed 22.6% of this or around 78.2 million Samsung smartphones making it the top 1 global smartphone brand in Q1 2018. On second place is Apple with 15.1% market share or around 52.2 million iPhones shipped! Meanwhile, Huawei continues to rise in popularity despite being denied entry to the US. It posted 39.3 million smartphone units shipped or around 11.4% market share. Xiaomi jumped to the third place with 28.3 million units shipped which equates to 8.2% market share. OPPO completes the top 5 list with 7% market share or around 24.1 million units shipped. The total smartphone shipments dropped by 2.4% in the last quarter compared to the same period last year. 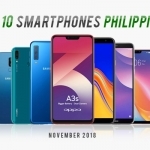 However, more consumers are now choosing to buy their phones from the biggest brands. 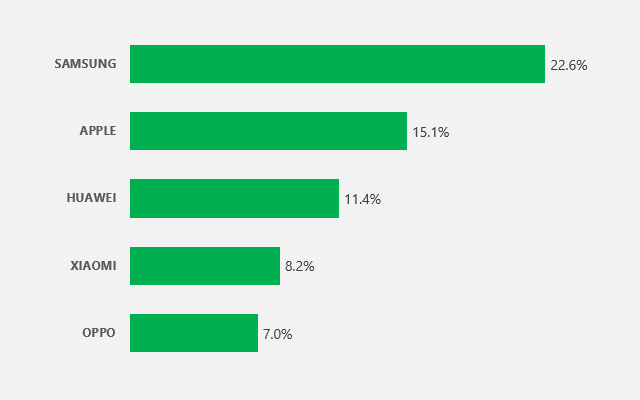 The total market share of other brands is barely above 35% which means smaller brands should take steps to edge out the top 5.